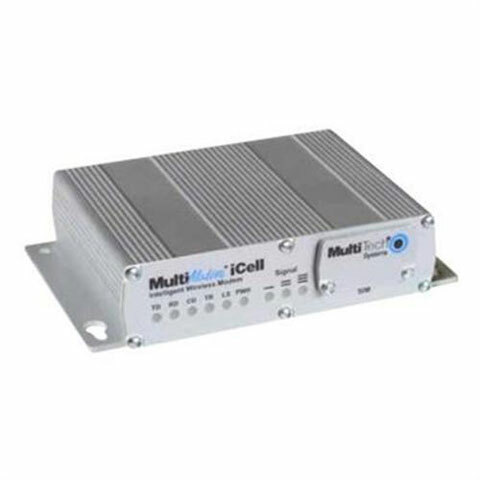 The MultiModem iCell intelligent cellular modems are ready-to-deploy, standalone modems that provide 2G and 3G, GSM and CDMA wireless data communication and integrate seamlessly with virtually any application. The intelligence of the embedded Universal IP stack allows for automatic/persistent connectivity for mission-critical applications and enhanced M2M (machine-to-machine) functionality. For applications such as asset tracking and fleet management, models with a dedicated GPS receiver are available. The MultiModem iCell intelligent cellular modems are based on industry-standard open interfaces and can be desktop or panel mounted. The MultiTech MTCMR-H5-NAM is also known as MLT-MTCMR-H5-NAM	or MTCMRH5NAM	.